New research at Washington University School of Medicine in St. Louis is aimed at investigating whether an already FDA-approved medication is effective in preventing hearing loss. The anti-seizure drug, zonisamide, is being evaluated. In the trial, the drug will be given to police officers and skull surgery patients before being exposed to loud noise. Zonisamide has previously been shown to lessen the damaging effects of hearing loss in animal trials and is typically given as a safe drug for epilepsy with minimal side effects. The project received a $10.5M grant from the Department of the Army and will be led by Washington University in collaboration with the University of Texas at Dallas, the University of Akron, Ohio, and Gateway Biotechnology in St. Louis. Hearing damage, specifically hearing loss and tinnitus (ringing in the ears), is the most common disorder effecting members of the military. This research is intended to impact and improve quality of life for military members and their families. This study is just one of more than 3,000 research projects underway at Washington University. Another includes the $18.5M National Institute of Health (NIH) funded Dominantly Inherited Alzheimer Network Trials Unit (DIAN-TU), a clinical trial testing multiple drugs to slow or block the development of Alzheimer’s disease in individuals inherently at risk. Additionally, Rodger and Paula Riney charitably donated another $15M for Alzheimer’s and Parkinson’s research, making Washington University a significant contributor in neurodegenerative and aging research along with other universities, such as the University of Southern California (see link: http://info.biotech-calendar.com/usc-recieves-13.98m-for-alzheimers-clinical-trial-consortium ). 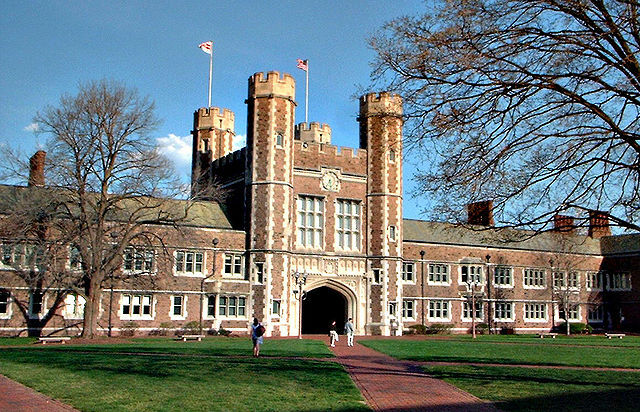 Washington University School of Medicine is one of the largest life science-focused recipients of NIH funding Nationwide. In the 2017 fiscal year, Washington University received the highest R&D funding it has in the course of the past decade, with $672M of the $754.4M total R&D being in Life Science expenditures. Later this spring Biotechnology Calendar, Inc. looks forward to hosting its 20th annual BioResearch Product Faire™ event at Washington University. The event will take place Friday, April 19th, 2019. Last year's show was a great success. We had a total of 338 attendees of which 120 were professors, post docs and purchasing agents. 57 attendees were lab managers with the remaining balance being both research associates and postgraduate students. This event is the perfect place to network with life science researchers and laboratory suppliers. We hope you will join us at the upcoming Washington University BioResearch Product Faire™ event.